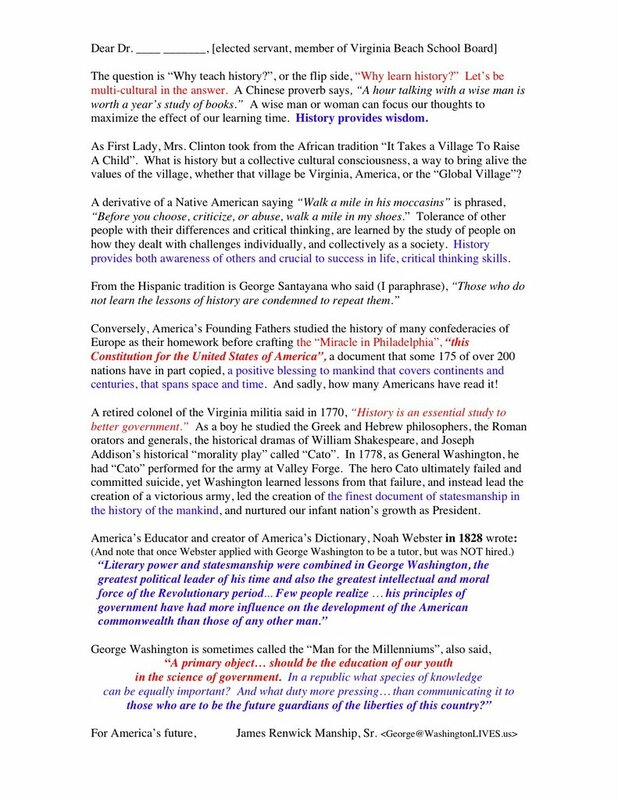 This one page letter was prepared for a fine lady, Dr. Lois Williams, who served on the Virginia Beach School Board and who wished to have a description of why teaching History, and especially American History, was an important subject in American public schools, where "Social Studies", has supplanted Civics, Government, and History. 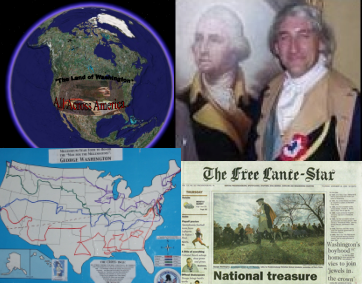 In a.d. 1770, retired Colonel George Washington said at Belle Glade, Ohio Territory (modern day Marietta, Washington County, Ohio): "History is an essential study to better government." 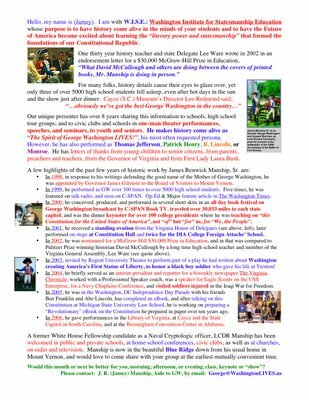 Labels: Duty, School Board, Why Learn History Links to this post 0 Your comments? 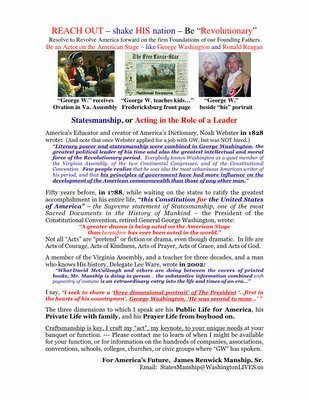 Labels: Acting, GW, Revolutionary, Statesmanship Links to this post 1 Your comments? Happy Birthday George Washington, America's Original Action Hero, Caped Crusader for "tHis Constitution..."
Liberty will have perished from the earth." 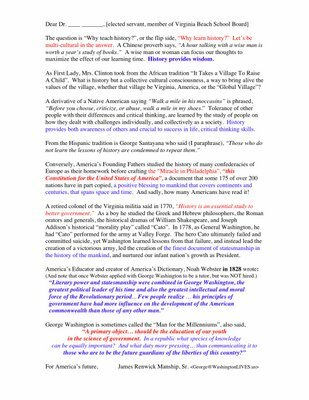 How close are we in America today to have forgotten the true meaning of Washington when he is watered down and clumped together with lesser souls in a Madison Avenue mis-phrasing of "Presidents' Day"? Take time to search this site to learn anew about the old and true... George Washington! 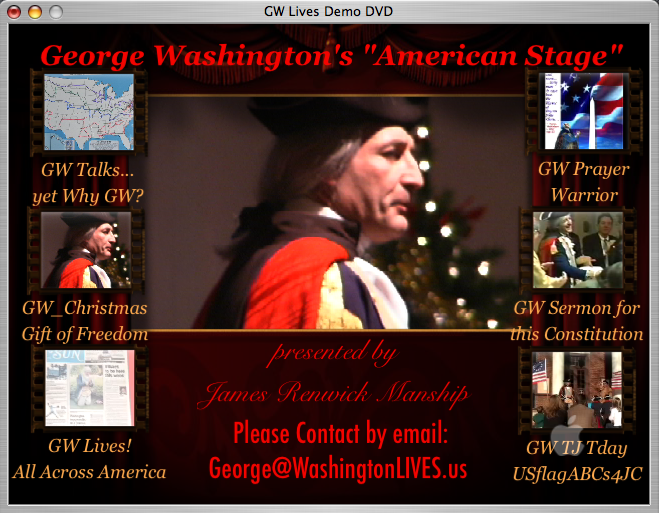 Welcome, and Happy Hunting in the fields of splendor for the Truth of George Washington! Washington was described by Thomas Paine as "The World's Apostle of Liberty". 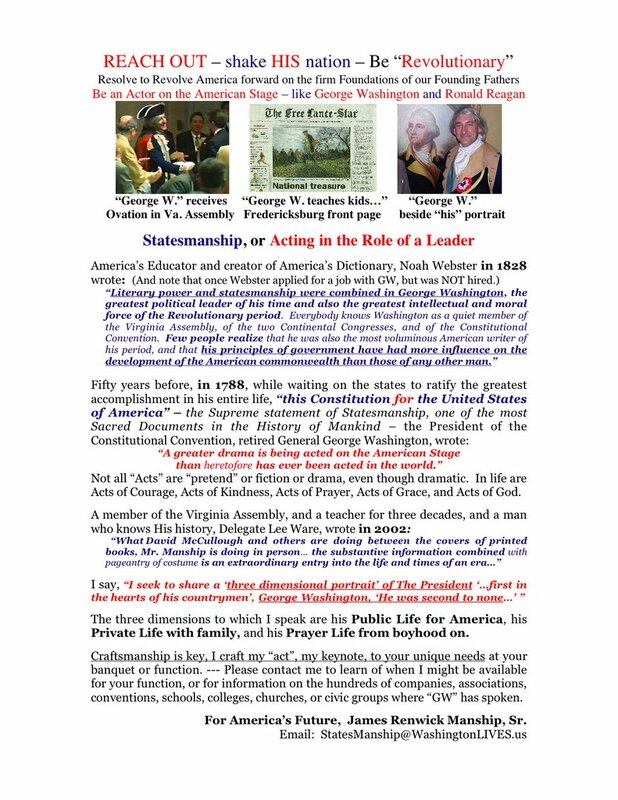 George Washington is America's Original Action Hero, a "Super Hero"
"The Man for the Millenniums!" The most important man in the world in the past 1000 years. the man who signed "Your most humble & obedient servant,"
do "We, The People" really want to honor all the past presidents? the middle of the longest time between federal holidays. 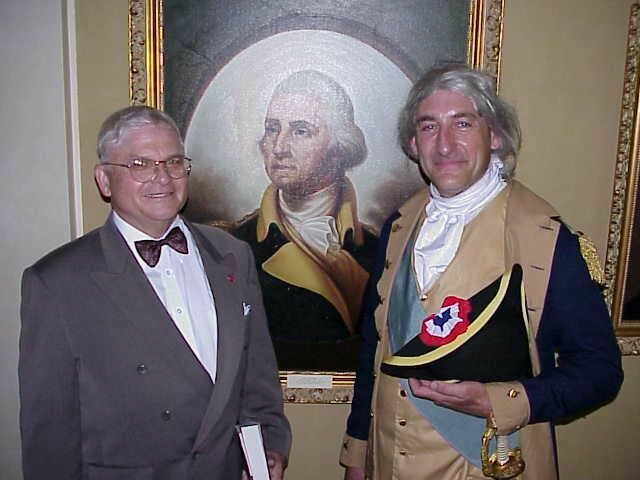 he was second to none..."
the 8th day of May, in the Year of Our Lord 2000, in the town of Independence, Missouri, at the Truman Presidential Library. So we can keep a pulse on the "body politic"
in the minds and hearts of Americans! Links to this post 1 Your comments?